We’ve been using cloth diapers and wipes for over three years now. But, I confess, there have been some times when disposables have been necessary for us. No shame here. No shame! I do try to carry over some of natural baby products and ideas where I can, however. And so, I’m sharing my homemade baby wipes and homemade wipe solution. For example, for wipes, I use cut up paper towels (don’t use the cheapies here. Get name brand like Bounty ones!) and a homemade wipe solution, or with cloth, I use a little spray bottle with the wipe solution and spray the wipes as I go. It is cheaper to make my own wipes and solution and I know what’s in them. 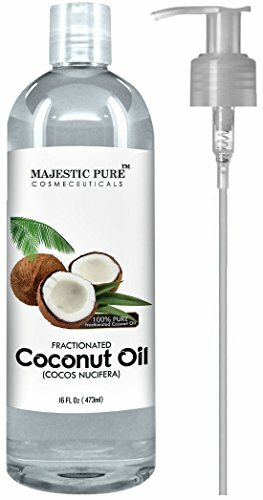 I used boiled water (to help kill off anything growing in it), coconut oil, aloe vera, vitamin E (thanks to reader Jen, I’ve learned “Vitamin E is actually not a preservative, it’s an antioxidant. So it will delay your oils from going rancid, but it will not prevent bacterial growth. I don’t think it’s a great idea to put these on wipes and leave them for too long.”, witch hazel, soap (but Castile Soap, baby body wash or baby shampoo is easier) and essential oils for the wipe solution. Boil 2 cups of water in an electric kettle or on the stove. You could even use a microwave. Then, added some shaved soap (that was what I had on hand this time) or baby wash and all of the other ingredients and whisked it to mix it up. While it was cooling, I got to chopping the paper towels. A knife works, but I think an electric knife would have made things easier for me. I just measured on the paper towels to the height of my container so I was able to close it. I just used an old wipe-sized plastic container, you know, from my store bought wipes! Take the middle of the a roll of paper towel out and “started” the wipe roll from the middle. Then I poured the wipe solution over the top slowly and carefully. The roll of paper towels will absorb it all. And, you will have nice wipes that slide on the skin easier than just water (what I used to use) and remove everything from their little bottoms easier. If you use cloth wipes, you can add the very same solution to a spray bottle (or that peri bottle you got from the hospital) and spray it onto wipes as needed. Some people prefer to spray directly on the bum when their little one is wearing a cloth diaper, but that’s not my preference. Or, on my cloth wipes. What should I mix my wipe solutions in? When using essential oils, it’s ideal to have a glass bottle instead of plastic. Grab an empty amber glass spray bottle and know that your oils will not start breaking down your bottle. 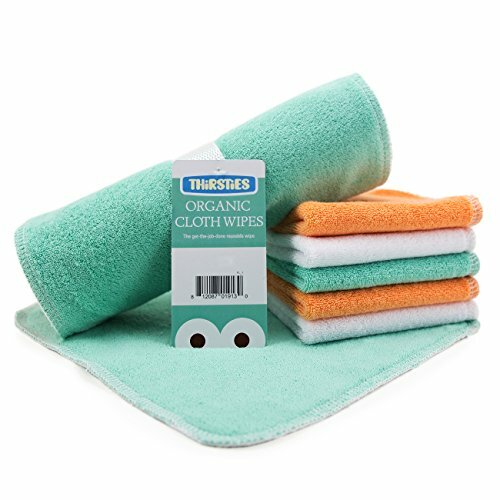 What are some good cloth wipes I can use? Good homemade wipes make a huge difference. If you don’t have the fabric or care to sew your own, I really like these Thirsties wipes They are nice and thick but also oh so soft for great cleaning. Do I need to boil the water for homemade baby wipes solution? Yes, you need to boil your tap water first. You want to make sure you’ve killed anything that’s in the water since you will use it a few days. Yes, distilled water is a great substitute and faster option. The only difference is you’ll want to make sure you are using a liquid bath soap instead of solid as it will be hard to dissolve the solid. How long do I keep my solution? I keep our solution in a spray bottle for about a week and check to make sure I don’t see anything growing in it. I also check the smell to make sure it doesn’t smell like it’s gone bad or rancid. Do the same if you use the paper towels. Can you spray the solution on paper towels, too? Absolutely you can use the spray directly on a dry paper towel. Again, you want to make sure your paper towels are nice and strong, but also soft. This is a great solution if your baby is older and you don’t think you will go through a tub of wipes before the solution goes bad. I like to use this solution when we travel too. If I have the wipes made from paper towels, I just take my container and go. When using cloth diapers, I used a spray bottle of the solution with my cloth wipes. You could also use the spray bottle on a roll of dry paper towels, one at a time. Don’t have an ingredient, what can I substitute? This recipe is pretty easy and versatile. Not all of the ingredients are completely necessary. I would at least use water with a little baby soap of some sort, but the others will totally help. And if you are really in a pinch and don’t have the ingredients to make homemade baby wipes? You can just use water and all will be okay! i don’t know if I’ll try but I want to! Seriously, the only thing I had to buy for these was the paper towels! And, of course, you can modify it if you don’t have one thing or another. The vitamin E for example is a preservative, so if you go through it quickly, you won’t need it. I’d love to try this wipes solution. We just recently started using cloth wipes and my solution is not quite as advanced. 😉 Mine seems a bit “sticky” so I’m sure the oils would help! Hmmm…I wonder what it is that is causing the sticky-ness. Oh, I just meant that the wipes don’t “glide” very well. Not that they’re really sticky. 🙂 But I think adding the coconut oil & Vit E might help, so thank you for that idea! Thanks for posting this great recipe! I am going to get the ingredients and make these. What a genius idea! I really like your homemade wipes solution and think it is better than the stores and want to buy the ingredients to make it at Walmart! Thanks for sharing. I might try the wipes solution. I will definitely have to try this. I’ve been using just water or watered down baby wash for wipe solution. Thanks for sharing! I would like to try this homemade solution to see if it works well. I’d like to try and make this solution! I would stock up on Bounty paper towels. This looks like a good recipe. I use almond oil, Dr. Bronners, and a little tea tree oil. I would probably try this out. i plan on trying it! thanks! I love making my own natural products. I plan on using it! I’ll try anything once! I love the essentials oils you included. They must smell divine! If I didn’t try making these, I would snag all the pampers and luvs diapers for a stockpile. The biggest pain is cutting the dang paper towels! I will definitely try this out, love doing diy. I would like to try the solution. I like your choice of essential oils in the solution. I would try to make it why not. I love to try new things. I would buy Bounty and Tide. The homemade wipe solution looks awesome! I would buy tide at walmart. I think the home made wipes are a great idea, I probably wouldn’t make them . I would buy some Pampers. The Homemade Wipe Solution Is A Great Idea! I’d Try To Make It! I Would Buy Tide. The solution looks great. I think I would get the Luvs diapers w/ the gift card. I would try it for sure. I am into natural products and less chemicals. I love the idea of homemade wipe solution, would like to try to make it. This looks amazing! What do you think the shelf life is? More than a week? I haven’t fully tested it, but I would think at least a week. Especially with boiling the water (or you can used distilled) and adding the vitamin E. Ours is at a week and looks and smells just as good as it did the first day. Thank you for sharing! Would this recipe work for wet wipes rather than spraying? I have about 2-3 days worth of cloth wipes. Hi Veronica- I think you would be good to pour it on a couple days worth of cloth wipes. Just keep an eye (and nose) on them. But, I think 2-3 days would be okay. I’m all for the homemade wipe solution. I plan to try this out. I love the idea of homemade wipes/solution! It seems easy to do. I use cloth diapers, so why not wipes? I love how simple this is to make and use! Thanks for sharing. Vitamin E is actually not a preservative, it’s an antioxidant. So it will delay your oils from going rancid, but it will not prevent bacterial growth. I don’t think it’s a great idea to put these on wipes and leave them for too long. That being said – this is a great recipe. I don’t want preservatives on my baby’s skin. I make a smaller batch of this and remake often. I usually end up making the small spray bottle full and it lasts less than a week. And I don’t let it get hot. I’d definitely keep my eye on the paper towels. Great recipe for homemade wipe solution. I too prefer to make them in small batches. I love how you have included so many tips and details that I might have otherwise overlooked, such as keeping the solution in amber glass bottles if we’re adding essential oils. I made this and just want to be sure it is correct. I made my own cloth wipes and they seem kind of soapy and left a little residue on my little one. Is that okay? Normal?